This entry was posted on September 5, 2012 by Sports Traveler. 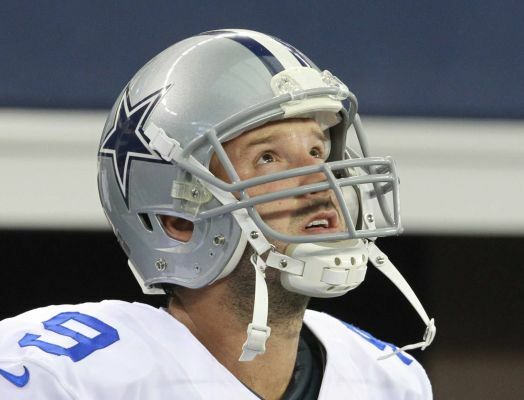 We have all waited, including Tony Romo, 7 long months but the wait is over. Its back baby and there might not be anyone happier than Romo. At this exact moment everyone has the same chance to make it to the Mercedes-Benz Superdome in New Orleans for Super Bowl XLVII. Now we all know that some teams clearly have little to no shot of making the playoffs but on day 1 the records indicate that there is equal opportunity for each team to make their mark on the league. The anticipation of the 2012 NFL season continues to grow as we move towards kick off for tonight's season opener between the Dallas Cowboys and New York Giants. Some fans, like myself, can hardly wait to see professional football again. As a Cubs fan I can tell you that football season can never come soon enough. Although we claim baseball as our nation's pastime, it is obvious that the most popular sport in this country is football. We live it, we wear it, we strive for it, and we sometimes want to die because of it. Many fans throughout the country have high hopes for their team heading into week 1. Both real and fantasy teams alike. Aside from football being the most popular in general, the sport sustains interest from the down-and-out fans through the season because of fantasy football. If you are one of those poor souls who have don't have success in reality or fantasy then its going to be a long winter. But hey, lets not think about the potential and seemingly inevitable pitfalls of this brand new NFL season. On opening day I feel we should all be positive and just happy that we can watch the pigskin get tossed around again. In honor of the new season I would like to state a few reason why I love football. I will keep the list short because it could go on for pages but I'll stay concise. Also, remember that these are the reasons I love football. You might have different sentiments about the game but these are mine. After reading the reasons you are welcome to disagree or add to the list. Let me know what makes football great to you. Please also note that these reasons are not in any specific order. 1. Physicality - I played football as a kid and I love the physical struggle of this game. It seems primal but is there a greater challenge of character and will in sports? 2. Mentality - Football is a game of adjustments and game plan. The strategy of the game is in constant change but the foundations of success remain the same. If you can run the football and play defense you are going to have success. 3. Coaching - There is so much preparation that goes into a game plan every week ,and it is truly impressive how much knowledge of the game the coaches of today possess. Also, it is not only about the game but each individual player and the psychology of how to handle them. 4. Teammates - I played many sports in my day and I have never experienced more comradery in a group than belonging to a football team. I don't really know why this occurs but it may be the aggressive nature of the game combined with the number of athletes on the field. Football is a game of responsibilities. Fill your gap. Cover your man. Block this guy. If one man doesn't do his job then the whole scheme falls apart. Everyone must feel like a part of the unit or the team suffers. 5. Highlights - This is what I like to call the "cool" or "awesome" factor. We all love watching 100 yard kick returns for touchdowns or one-handed diving catches by tall and athletic receivers. Football highlights have always been my favorite. Athletes continue to get faster and stronger so I can't wait to see what ridiculously awesome play will we all get to see next. Kick off is at 8:30 ET on NBC. Now who's ready for some football?